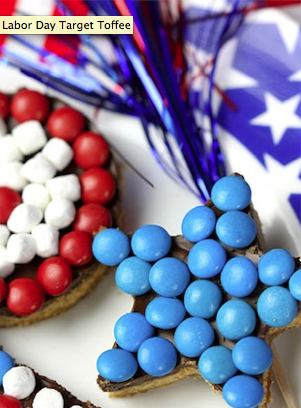 Courtney from Pizzazzerie created a fun Labor Day treat for Target, Patriotic Toffee. You still have time to run out and get what you need to make this fun treat, and it is a great project for kids to help with in the kitchen. If they are home from school you might as well put them to work! I mean, keep them entertained! You can get the recipe for Target Toffee over at A Bullseye View.